VICTORIA SINGLES! 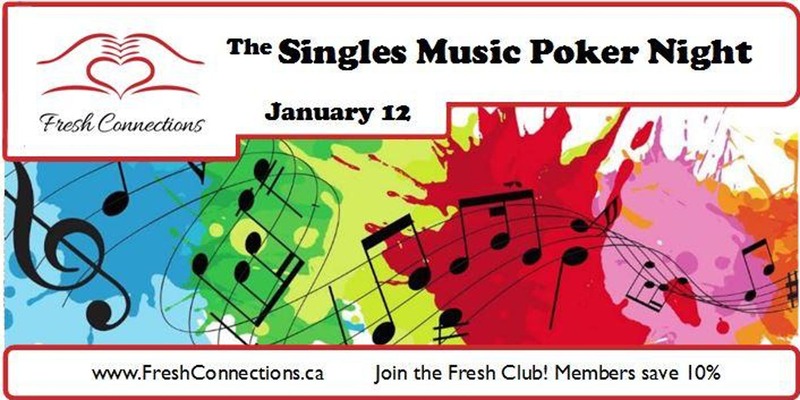 We’ll see you in the New Year for The Singles Music Poker Night! Date nights as a group are much more fun and relaxed! No one-on-one pressure, no messaging! We’re bringing some added challenges and bonus prizes! Start brushing up on your name-that-tune skills! Join local singles for an exhilarating musical night of games, prizes, and of course new connections!